Ever heard people who don’t take out travel insurance say things like “oh, it really doesn’t matter if you lose your luggage, just travel light with stuff that’s cheap to replace”? Worst thing ever about fulfilling your travel dreams, whether it is going abroad on work or for pleasure? Falling sick! And you definitely don’t want to get caught in a foreign land with a medical emergency! Ask any travel insurance company and they will probably have an array of stories to tell you about the evacuations and emergencies they have had to deal with over the years. An emergency evacuation without travel insurance can cost more than 77,000 pounds. Most of the time, your journey will go without a hitch. Hopefully you won’t have to endure the nightmare of being injured or seriously ill in a foreign country. If you do, though, the last thing you want is to be without the financial means to get treated and get back home. Just for that, travel insurance is worth every penny. Let’s look at what travel insurance entails. This is one of the biggest reasons to buy travel insurance. Hospital costs in a foreign country can be exorbitant, and emergency transport home for the right treatment is sky-high. When you use a site like Medical Travel Compared to find the right travel insurance for your needs, make sure you read this section carefully, especially the coverage relating to limits on medical expenses, emergency evacuations, and dental emergencies. Trip cancellation will cover you for your costs if, for unforeseen reasons, you cannot go on your journey. For this section to apply, though, you will need to buy the travel insurance as early as when you book your tickets. Loss of personal belongings is usually the main reason people take out travel insurance, but it is the least important reason. Things can be replaced, but your health cannot. This is not the same as liability insurance you would take out for driving a car. However, if you are involved in an accident or cause damage and are held accountable, insurance can cover your legal expenses and liability. Travel insurance tends to end the minute you arrive home, so if you take out a policy for eight months and come back after two, you won’t get a refund for the remaining months. There are some policies that will allow you to continue a trip on the same policy, though. Carefully read the description of coverage and look for any clauses for a period of coverage. Different travel insurance policies have different exclusions and benefits, so it is absolutely necessary to take your time reading the policy wording carefully. The terms will vary depending on the country you are from, so be sure to contact the insurance provider with anything you are uncertain about and discuss the policy thoroughly before signing it. 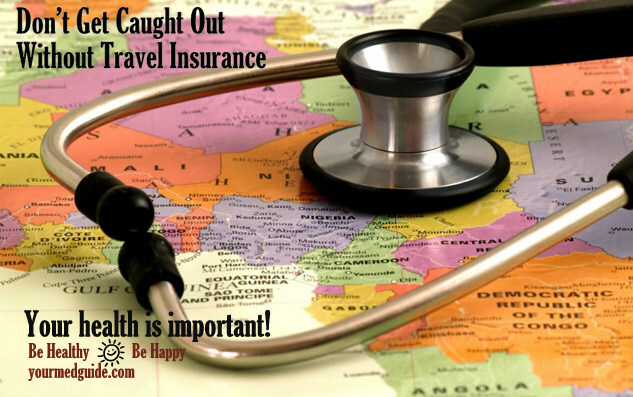 If you care about your health and well-being, don’t even dream of traveling without travel insurance! Do you get regular health checks?